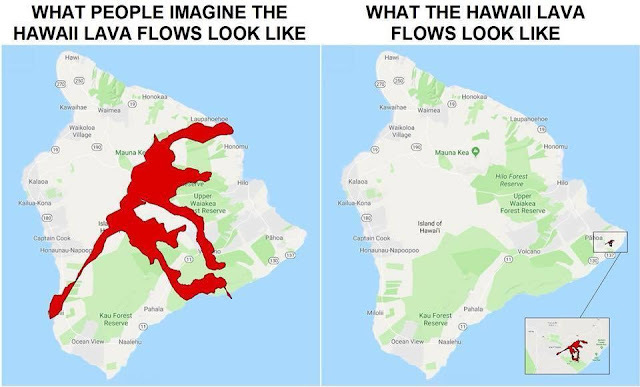 If you are planning to vacation or live on the Big Island in Hawaii VOG has always been an issues in various places around Kona and the South West part of the Island. Depending on the winds the VOG can be and issue for people with breathing issues. See live Hawaii VOG map here. What is VOG? It is smoke haze containing volcanic dust and gases. If the lava hits the ocean sometimes steam is created as well which also creates a VOG like cloud. The map model model uses estimates of volcano emissions along with forecast winds to predict the concentrations of sulfur dioxide gas (SO2) and sulfate aerosol particles (SO4) downwind of the ongoing Kilauea eruption. Here is a map of the Big Island Geothermal Power Plant threatened by the lava.